Ponant have released details of their latest ship – Le Commandant Charcot is Ponant’s first hybrid electric polar expedition vessel powered by liquefied natural gas (LNG). With the introduction of Le Commandant Charcot to it’s fleet, this will make Ponant the world’s only luxury cruise company to offer trips on seas and oceans which only icebreaker ships can navigate. Her bucket-list-worthy itineraries are available to book in the latter half of 2019. Pre-Register now to be one of the first onboard. Cruise Guru’s Discerning Traveller Collection is featuring fantastic deals on some of Ponant’s most in-demand itineraries. Discover the wonders of Antarctica, enjoy complimentary internal flights in the Arctic, luxury itineraries in the Mediterranean or great savings on Kimberley sailings. Hurry, availability just won’t last! For details on Ponant’s cruising style and inclusions please see our Luxury Cruising page. View Ponant Cruise Deals or call our Ponant experts who have first-hand experience of many Ponant cruises, on 1300 13 03. Every year, Ponant offers a small number of in-depth Kimberley voyages. Sailing from Broome to Darwin (or vice versa) aboard the new Le Laperouse, the 10 night voyage visits Freshwater Cove (accessible only by boat or air), the Horizontal Falls at Talbot Bay and the Lacepede Islands, which are Western Australia’s most important breeding habitat for green turtles. As well as these stunning ports, depending on your departure date, Ponant cruises also stop in Palau Meatimiarang in Indonesia and Wyndham, the oldest and most northernmost town in the Kimberley Region. With only 92 staterooms, these Ponant cruises aboard Le Laperouse book out quickly. 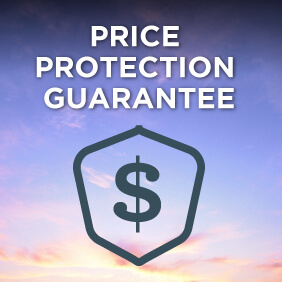 Please contact our reservations team members, who are experts with first hand experience of many Ponant cruises, on 13 13 03 to secure your cabin. From the ice of Antarctica to the lagoons of the Pacific, from Mediterranean Coves to Asian shores, Ponant cruises have been sailing all the seas of the world for almost 30 years. 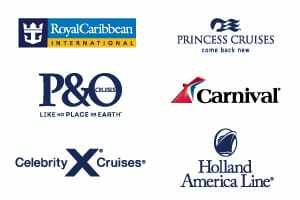 Each year they offer more than 200 cruises visiting almost 400 ports of call. 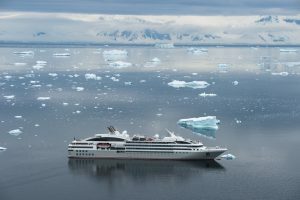 Highest on the bucket-list would be Ponant’s Polar Collection with itineraries visiting both the North and South Poles. Heading North, destination highlights include Iceland, Alaska and Greenland, while in the South highlights include Falkland Islands, Deception Island, and of course, the Antarctic Peninsula. All itineraries in Ponant’s Polar Collection are classified as ‘expedition journeys’, which means guests have access to the expertise of on board naturalists as well as being able to head out in one of the ships Zodiac boats, allowing them to get up-close and personal with the glaciers and wildlife. Expedition itineraries are characterised by complete flexibility, meaning more time can be spent at the most rewarding sites, detours can be taken to admire a colony of whales, or impromptu trips ashore taken to observe a colony of penguins. As well as their fantastic Polar Collection, Ponant offers itineraries through Asia, Oceania, the Mediterranean, Northern Europe and the Baltics. Highlights include Easter Island off the Chilean coast, the Bay of Kotor in Montenegro, the Marquesas Islands in French Polynesia, remote villages of the Malay Archipelago and Saint-Malo (France) and Lubeck (Germany) in Northern Europe. Don’t forget to check out Ponant’s themed cruises, enabling you to combine your passions with your love for travel. Potential themes include music-based cruises, including guests of honour in particular musical styles; wine and gastronomy, featuring great chefs and sommeliers; art and literature, inviting writers, novelists as well as stars of theatre and film onboard; or golf cruises, taking guests to play on the most beautiful courses in the Caribbean or Mediterranean.